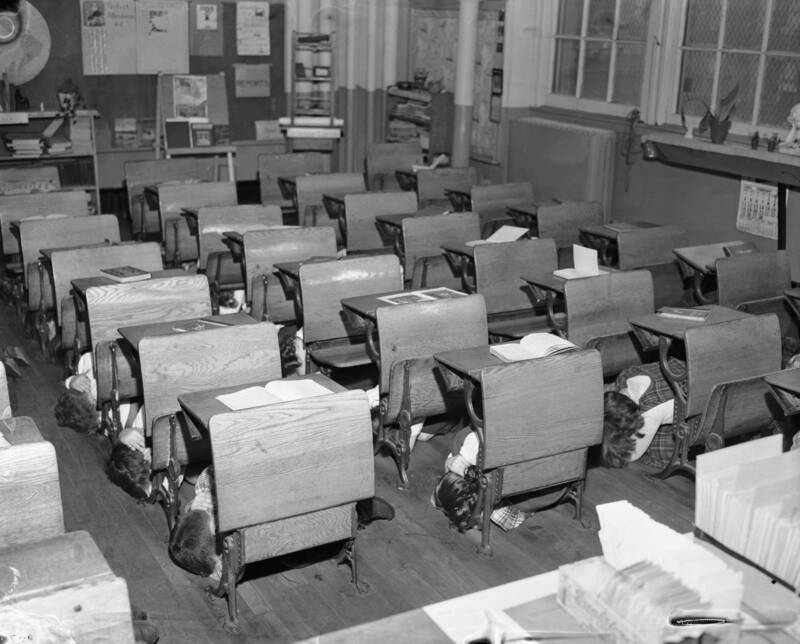 I grew up in the 50s and 60s and during the Cold War between Russia and the United States school children were taught the “duck and cover” method to save our lives in case of nuclear bombing during school hours. Huh? I vividly remember these drills that would come randomly during the school year in addition to our fire drills. When the alarm sounded we were instructed to quickly and quietly (always quietly) to get in a huddle down on our knees underneath our desks with our heads protectively covered by our arms. I’m sure I wasn’t aware specifically of the reason for these drills at my young age but the energy surrounding the drill left me fearful and shaken. Sometimes the exercise had us lined up and following our teachers out to the parking lot where waiting volunteer parents lent their cars as getaway vehicles to whisk us away off campus. Not only would these drills be useless in protecting anyone during a nuclear blast but they added fear to an already too fearful child. We also had the Cuban Missile Crisis in the 60s…I lived in very close proximity to Cuba, and the Vietnam War was on television during the evening news. It’s no wonder that I was well acquainted with anxiety as a child. 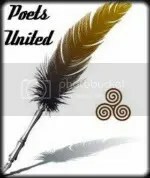 Join us today at 3PM EST as Toni presents Haibun Monday at dVerse Poets Pub. There were a few occasions that I can remember vividly when my father went out of his way to let me know that he was thinking of me. He and I were alike in that we both loved to read. He was proud of my ability and that I enjoyed a good mystery like he did. He was a traveling salesman for most of his working career. He loved to be on the road and chatting people up and I’m sure it was a relief for him to be away from home for a couple of days at a time and be on his own away from the duties of husband and father to six children. Once, after being on the road for a few days, he returned home with a gift for me. He had brought me two Nancy Drew books. Nancy Drew was my idol and I had been reading the mystery series, written by Carolyn Keene (now whom I know is a pseudonym), for some time. I was thrilled at this gesture and have never forgotten the feeling of being singled out to receive this generous attention from him. Join us at dVerse Poets Pub for Haibun Monday hosted by Lady Nyo, aka Jane Kahut-Bartels. I was living in Miami during my ashram days in the early 70s. After having dinner out one evening my husband and I decided to take a walk down on the beach by Biscayne Bay. The moon was out and it was a balmy, breezy night in summer. We reached the beach and walked hand-in-hand along the shallow tide. There didn’t appear to be any other people along that stretch of beach and it was especially nice to have it to ourselves. We walked further along when we made out a large, dark shape about mid way between the dunes and the water’s edge. As we drew closer we realized that it was an enormous sea turtle who was returning to the water after laying her eggs in the fine, white sand. She lumbered along and soon met with the lapping waves that took her out to sea. We watched as she disappeared. I’ve never forgotten my first encounter with one of those amazing animals. 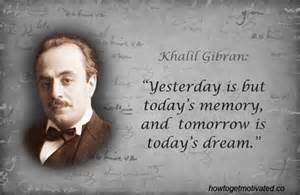 Join us at dVerse Poets where Toni presents our latest Haibun Monday beginning at 3PM. One of my sisters and her husband love going to the beach. They don’t need any occasion to go, they’ll just drive the hour or so to get there and he’ll either surf if the waves are accommodating or they will sit on the beach under their canopy watching the waves or walk along its lengthy shoreline. Several years back, the invitation went out to the family to join them one evening to watch the full moon come up at New Smyrna Beach. My boyfriend at the time and I drove over and joined the clan. My brother-in-law had a fire pit going and as the sun’s rosy glow dwindled behind us, the full moon rose up on the far-off horizon of the Atlantic before us. It was enormous. It was so large that it took our breath away. Ivory colored, with craters shadowed on its surface, I will never forget that humbling, overflowing moon on that chilly, fall night. Toni returns with Haibun Monday at 3PM EST. Read her presentation at dVerse Poets Pub for all of the details. I miss you. I miss your colors, sights, smells and sounds, your breath and lively energy. Even your grittiness, those dark places that were avoided, added depth and meaning to my stay there. I was advised, don’t wear your fine jewelry on the subway, at least where it can be seen…you’re setting yourself up to be robbed. Once, a desperate, gun-wielding madman invaded our restaurant on Mass Ave. and demanded money. While everyone else froze, my husband was the only one with the presence of mind to follow his orders. My friends told stories of being mugged in your dank, piss-smelling alleys but somehow you always held me safely among your teeming citizens, your seasons, your unrest or calm. Bjorn is our host for Haibun Monday at dVerse Poets. The pub opens Monday at 3PM EST. Read his presentation for all the details and join us. Tagged Boston, city perspective, gritty city, haibun, Mass. Ave. I had been tending this orchid for over a year. It was in full bloom when I bought it but it hadn’t bloomed since. 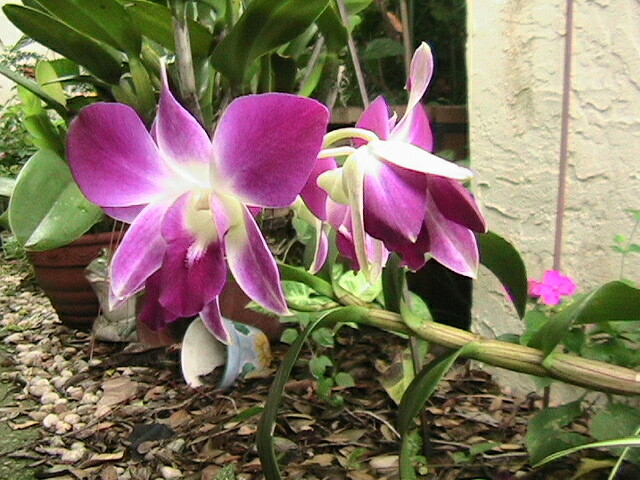 It was hanging in the dappled shade of our small courtyard and I was fertilizing it regularly with an orchid food. It was receiving the afternoon rains during this hot and humid summer and had been putting out strong, fresh green leaves. As I puttered around my mostly, potted plants one day and glanced over at that dormant orchid, what I thought were new leaf pods had put forth large, double-twin fragrant blooms! Joy! Grace is our host for Haibun Monday over at dVerse Poets Pub, 3PM EST. Please see her presentation for all the details on this fun form! I seem to have a connection to peacocks. They’ve been a part of my life since I was a small girl and my mother would drive us kids to a neighborhood in Winter Park to a dirt road where Hugh and Jeanette McKean had made their home on Genius Drive. Hugh had been a former president of nearby Rollins College and Jeanette was the granddaughter of the founder of the Morse Museum. 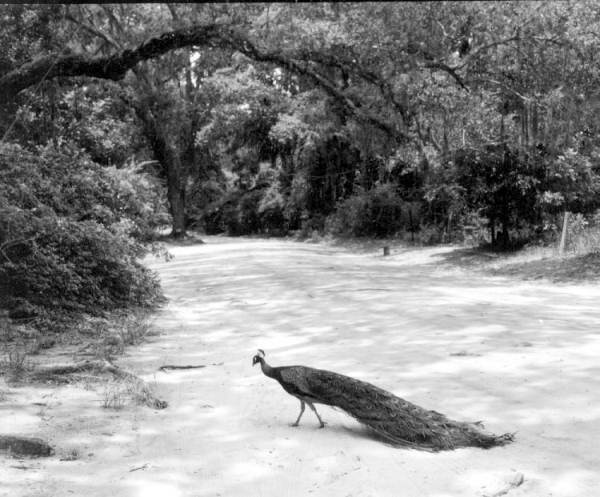 They brought the first pair of peacocks to their property and as the numbers grew, they allowed the public to drive slowly along the winding road through an old orange grove that was their home. At their peak they numbered into the 100s. Eventually the property became Genius Reserve, a preservation area. 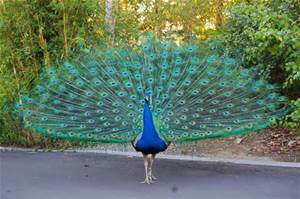 Many years later when I moved to Coconut Grove in Miami, I again landed in a neighborhood where peacocks roamed freely. I wrote a humorous story on an intimate relationship that I had with one of those birds. You can read it here. They’re very loud and their cries could be heard throughout the area. The males are the beauties of course and when they spread their tail feathers out in full array, they are astonishing to behold. Colors of iridescent green, turquoise, dark and light blues, browns and yellows add up to a brilliant display. Later, after I had divorced, my youngest daughter and I shared an apartment not far from the wildlife preserve of my youth. And much to my surprise, I again had encounters with these astounding animals…even, on occasion, having to brake and wait as they crossed the road in front of my car. I’ve marveled at my association with these birds throughout the years and somehow feel some sort of synchronicity in it all. Victoria is our Poetics host over at dVerse and asks us to write on the topic of feathers. Head over there to read her full presentation and to add your link! These days my heart is aflutter and excitement is coursing through my every cell it seems. I feel almost electric and distracted at times too. There is a strong memory of these feelings from my past and yet in a way I’m more in control of my faculties than I was before. Perhaps it’s because I realize the impermanence of relationships. No-thing lasts forever but I’m ready to take advantage of what has presented itself and to see where it goes and I along with it for however long it lasts…and enjoy the journey. Toni is our host for Haibun Monday at dVerse Poets. Join us as we explore this Japanese form and write on change or impermanence. My car’s air conditioning had gone out. Yes, gone out in this miserable and all-encompassing heat. But I had received it back from the mechanic and had been assured all was well after spending close to $1,000.00 on a new compressor and accumulator (whatever that is). So as I took off to do my errands the next day I fully expected cold, refreshing, frigid air to be copiously blowing forth from my brand new air conditioner…but, no, it did not. It was doing what it had done when I took it in…switching on and off, willy-nilly. Right now it was blowing HOT! Returning home, I called the mechanic and reported my sorrowful predicament as sweat slowly trickled down my neck. It’s going back in next week…CURSES! * As a side note, my car went back to the mechanic last week where they replaced another part (only charged me for the part, no labor) and although the car cooled on the way home, it stopped again and has started going on and off again. Argh! Back it goes later this week. The mechanic couldn’t believe it and wants to keep the car and drive it for a couple of days so he can see what it’s doing. Really bad timing! Toni is our host for Haibun Monday. See her presentation at dVerse for all the details and join us for one of our most popular prompts. My friend and I were on our bikes oblivious to the scorching midsummer day. We just enjoyed riding, feeling the wind in our hair and having the freedom to go wherever we wanted. On this day we made our way over to Mead Gardens a few miles from our homes. It was a 48 acre botanical garden with an ancient glass hothouse where gorgeous orchids still thrived. The door was locked but we would peer in through the green algae-covered windows and admire the flowers. Soon the sky darkened with the expected afternoon rains. No thunder or lightning but just a light rain fell and we made our way over to the small, shallow creek that gently trickled through the garden. We jumped in with our already wet clothes on and walked through the water meandering through the lush foliage that grew along the banks. It was just another summer adventure for us; we didn’t care one bit that we were sopping wet. Toni is our host at dVerse Poets for Haibun Monday. Please see her presentation there for all the details. 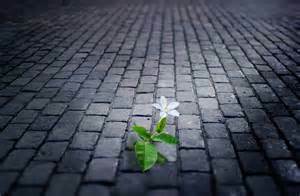 Please join us for Haibun Monday at dVerse Poets where Toni asks us to write on ordinary, everyday goings on in our lives. Being taken on long, scenic, nature drives has always been a favorite way for me to relax. My mind instantly turns to what is outside the window and I’ve managed to catch many displays of wildlife. I’ve seen bald eagles soaring high overhead. I’ve spotted osprey in their huge nests, tiny Kingfisher resting daintily on telephone wires, rabbits on the fringe of woods, Red-Shouldered Hawks perched on fence posts, wild turkeys gobbling on the side of roads and numerous alligators, some submerged with their long, nubby heads showing, their eyes just above the water line and many more sunning on banks. I love catching these snippets of nature while driving along a winding trail at a state park or just out in a country setting. One very late night several years ago, my partner at the time and I headed out of town to watch the early morning Perseid meteor shower. To get a better chance of viewing we drove away from the lights of Orlando, maybe 10 miles to the Econlockhatchee River. Before we even reached our destination, I started seeing the telltale streaks of meteors flashing through the sky. Calming and exciting at the same time! Night rides can be very soothing. My mother would sometimes gather all of us kids in the car and drive around in the evenings, windows down, cooling and calming us down. Join us at dVerse Poets where Toni hosts us for Haibun Monday. 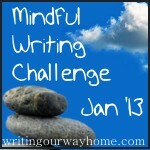 We are asked to write on ways that we truly relax. Toni’s presentation will be published at 3PM EST Monday. Please read it for full details. During a budding spring day, hiking among the scrub along a trail in one of our nature preserves nearby, I realized I was seeing the vestiges of winter even though her presence had been mild and rainy this season. Browned, brittle leaves covered the path and beyond. Small twigs and limbs had been shed from the surrounding live oaks most likely resulting from one of our blustery storms that had blown through. Some of the leaves were just beginning their renewal on the trees after being dormant through our short winter. And as I further scanned the forest floor my eye caught a most delicate and fragile creation. I had seen these before and I’ve always been struck by the intricate, lacy designs left after a leaf or flower has disintegrated during its natural decline. Nothing had yet destroyed its beauty in this frail state. Yes, beauty was present even in this advanced stage of transformation. Join us at dVerse Poets as we enjoy another Haibun Monday with Susan Judd as our guest co-host with Bjorn where she shares her wonderful photography as inspiration. The Massachusetts Bay Transportation Authority (MBTA) got me where I needed to go for most of my transportation needs in the city and beyond. I worked on Massachusetts Avenue and our building was right over South Station (if I remember the station correctly) so I just had to walk downstairs to catch a train back home to Dorchester’s Shawmut Station where I walked the few short blocks home to Kenwood Street. Sometimes though I would ride the red line on down (or was it up) to Harvard Square and meet up with my husband who worked there and we would grab dinner and maybe a movie before heading home. Riding the trains was a very new and convenient experience for me when we moved to the Boston area; back home in Florida you relied heavily on cars to get anywhere. The trains seemed to really barrel along at times and the squealing of the brakes was loud…this was back in the 70s. Maybe the trains are quieter these days. It wasn’t unusual for us to have to stop and wait on the tracks and for the lights to go out too. At times we were packed like sardines, standing room only, and other times you practically had a car to yourself. I saw some interesting characters down on those train platforms. The most infamous was when a group of us were approached by an impaired man wielding a knife and bragging that he had killed someone with it. Somehow we managed to move away from him unscathed. At some of the stations you could find quite high quality talent of people trying to make a buck. That was another thing I loved about the area, the street performers, up and down Mass Avenue and throughout the city. Bjorn prompts us on trains for Poetics at dVerse Poets. Thousands of people are perambulating the Tidal Basin, all gathered for one auspicious event, the blossoming of the cherries. This year the date was forecast by the National Park Service arborists as March 25, 2016 as the peak date for the blossoming in Washington, D.C. The flowers don’t last but for a few days so it is of utmost importance to view them as close to peak as possible. The peak bloom day is when roughly 70% of the flowers will be open. 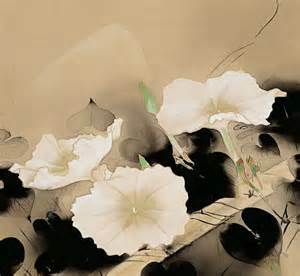 The flowers begin white and gradually turn pink. Sometimes three days later the blossoms will begin to fall and cover the ground beneath as if with a delicate-petaled snowfall…the trees making way for their budding green leaves. People ooh and ah, pointing and smiling at nature’s extravagance. Festivities include art showings, picnics, and some hire professional photographers to have engagement photos taken, family or portrait photos done with the cherry blossoms. There’s a feeling of camaraderie and joy in the air and reverence too as some of the trees are over a century old. Toni hosts our haibun Monday today at dVerse. Our topic is cherry blossoms and spring. As your words went dark and their harshness increased, I felt that something was very wrong. But initially I thought something was wrong with me. You explained things so brilliantly; your gift of conversation and deliberation were masterful. I had always been so proud of you for that. My attempts at discourse with you, especially if I disagreed, were soon set straight…I was mistaken. Gradually, over many, too-long years, I came to see something else in you. The man I had seen as capable with a sterling intellect was in fact delusional and exceedingly corrupt and insecure. You are a narcissist; you are lost. 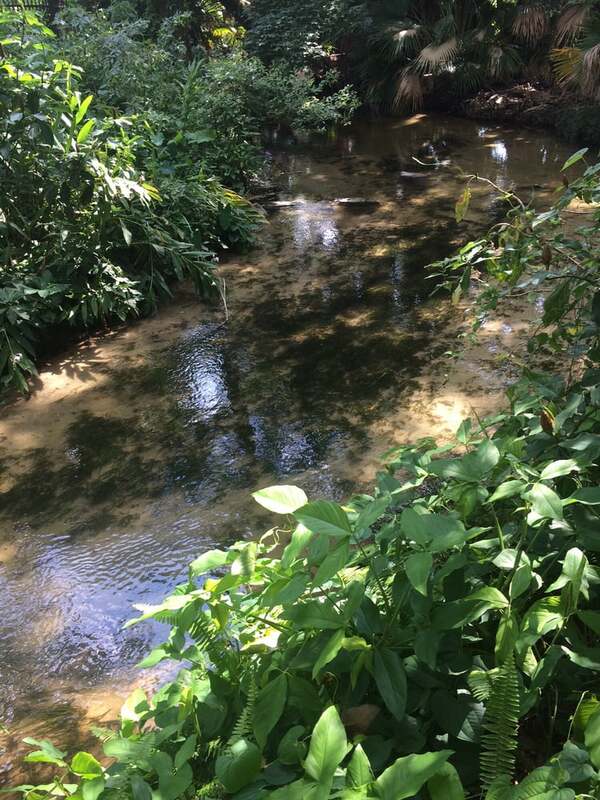 I have existed since 14th century France when I was built for safe passage over this stream which flows from the adjoining river where fish, escargot and other delicacies are found. In those days long past as you crossed toward the east over my cobbled, curved path, you would find the outdoor market where bread, cheeses and sweets were sold as well as the aforementioned foods from the waters nearby and dried meats. You could also shop for fabrics, millinery items, and other necessities of day to day life. Following main street, past the market, were the settlement’s church, cemetery and the vicarage. If heading west as you traversed, you would come upon the village square with outposts of dwellings, the pub and the colony’s town hall used for meetings and celebrations. This town has come a long way since the time when I was first constructed. It has survived the days of serfs, famine, epidemics and natural disasters and has managed to maintain its charm that involved the preservation of many historical landmarks, including me. Shinnen (the New Year) arrived with death this year. Our beloved Uncle had passed away from a debilitating illness. All of us suffered as we watched him slowly deteriorate. For years he had been the rock and center of our tight-knit family as we immigrated to America from our homeland of Japan. He welcomed and supported each member as they made the passage. His wake took place at our family’s Buddhist temple. We were heartened to see so many attend and as the rinpoche lit the incense and recited sutras, the visitors filed by the casket. Afterwards, his body was cremated and his ashes collected in an urn that would be placed at the family gravesite where a shallow space was reserved for this purpose. As loved ones gathered for the simple ceremony a few days later, we noticed the quince tree that shaded the site had bloomed. 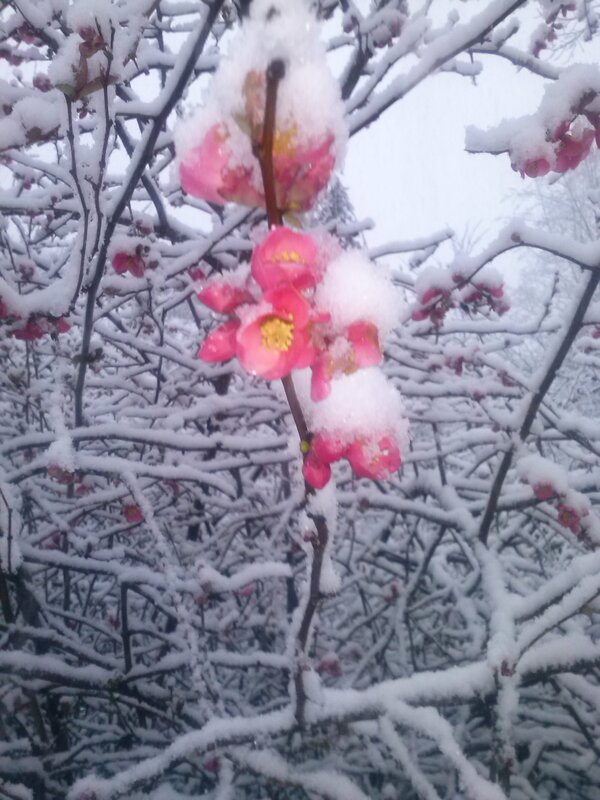 The day before an unexpected snowfall had filled its branches with ice and coated its early, fragile blossoms. As I lingered under the tree, I pictured Uncle happy and dancing at the Isle of the Blessed. It’s hard to believe that I came from such an abusive and chaotic life just a few short miles on the other side of this river. Life with drug abusing parents who both ended up in prison was no picnic. And then to have been put in foster homes and separated from my little sister was like moving from one desperate situation to another. Foster parents can be unfeeling and insensitive to what children come from. Most are in it for the money that the state gives them, not from a place of compassion. Somehow I ended up making it through high school and continuing my education to become a successful businessman in the city. I even managed to reunite with my sister and help her get an education too. I have much to be thankful for and I don’t take any of it for granted. 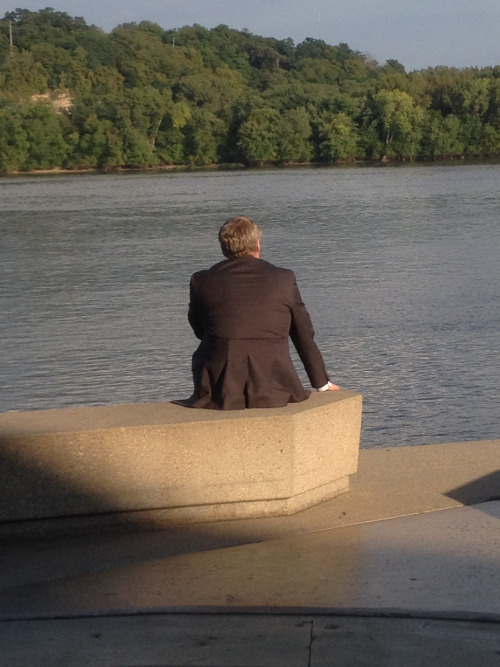 This river keeps flowing downstream…and so do I. His vantage point from the small window was enough that he could see several different buildings and the expanse of the wheat fields growing beyond. But there were days when he just stared unseeing out the window too ill to really even enjoy the view. His distinguished, yet haunted blue eyes were sunken into his thinning face. He didn’t have much of an appetite during his stay in the asylum and most days he ate only bread and soup. 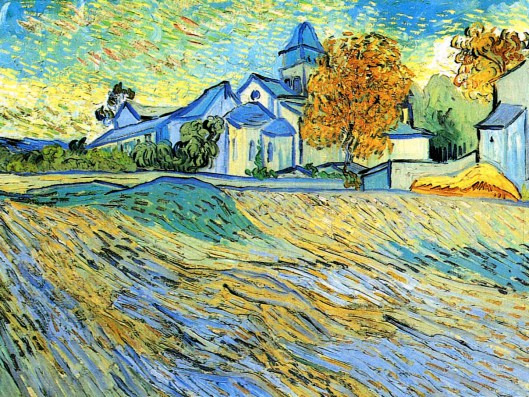 Though painting was a calming past time, there were days that he wasn’t allowed to paint because of his compulsion to drink his turpentine and paints which would then add to the complications of his epilepsy and mental state. In spite of that, he managed to produce many paintings, and some of his most famous, during his stay at Saint-Paul. When well enough he could wander the gardens, grounds and halls of the property and often these sites would find their way into his art. A long corridor echoed his depression with its cold, vacant, gray benches and darkened shadows cast throughout. I used a senryu here rather than the traditional haiku. My mind drifts in and out and flows around and about, switching directions on a whim, back to childhood, in between and then up to the present again. This play moves my emotions with it as if on a roller coaster ride. The sting of a hurt feeling from decades ago can be recreated through a memory that becomes dislodged by the smell of the apple pie that is cooking in my kitchen today. The contented joy I felt while mothering my newborns is a love-filled, treasured memory. Instantly I feel at calm ease when I reflect upon that time. But even this memory takes me from present time; it too a phantom. Memories are powerful imprints within us. They can evoke times of joy, love, closeness, warmth, smiles or fear, panic, sorrow, regret and shame. To dwell on painful memories can hold us tight to the past and rob us of our life in the present. And interspersed with all those memories are the daydreams of my imaginings…both are fleeting wisps, gone with tomorrow. Roused from sleep by the house rattling with thunder, my body aches with pain, more sore than restored. A tempest rages outside with squalling, storm bands flooding and high winds whipping at the trees; stormy weather sometimes has this affect on my body. I want to go back to sleep but a green tree frog who has wedged himself in my window jamb is delighted for the soggy morning and calls out to the surrounding community with a loud but low-pitched, repetitive croak. His song is answered with a chorus and now it seems a glee club is resounding throughout my room. It’s subtle but I immediately sense the telltale tightening throughout my body. It quickly moves to hyper vigilance. I look down at my hands and find them clutched together as if seeking sanctuary with the other from the impending increase in tension. My heart rate quickens…there’s slight dizziness, nausea–which only serves to ratchet up the anxiety. There’s never a turning back from this…it has to run its course, reach its peak and take me unwilling on an alarming provocation of harrowing fear and panic. I search my mind; what was the trigger? My thoughts are the culprit. Circumstances from long ago, surge through my mind, almost obsessively at times, repeating in my physiology the fear that was produced…then. The ensuing adrenaline rush propels the panic even further until every muscle is rigid and my shallow breathing works to feed my total disconsolate state. I prefer to be alone and in quiet surroundings if too overwhelmed. Being around people, even my loved ones, provides no comfort. I must focus and not be distracted by superfluous words that are presented–with good intentions–but fail to soothe or calm. As a child and alone in the middle of the night when this “terror” would strike, I would yawn and shiver. If it struck in the dead of winter, I wanted to run outside, to feel the snap of the cold that would bring on the shaking relief that would eventually dissipate the wayward energy. Exhausted, I could then fall asleep. I would turn to the Bible, the only spiritual book I knew at the time, and seek comfort from words that spoke of something…someone outside myself who promised peace…if I believed. He was slight and short for twelve years of age. His rust colored hair and freckled pale skin was the bane of his life. His eyes were a deep brown with flecks of carnelian–beautiful really–framed with long, feathery lashes that blinked with mischievousness and always-looking-for-a-joke curiosity. His sweet vulnerability was overshadowed by a dark secret and shame. He wore a mask of jovial pretense and protected that place with ardent determination. No one noticed the quick flash of anguish that passed across his face from time to time or the somber pauses, between the wittiness, that told all.